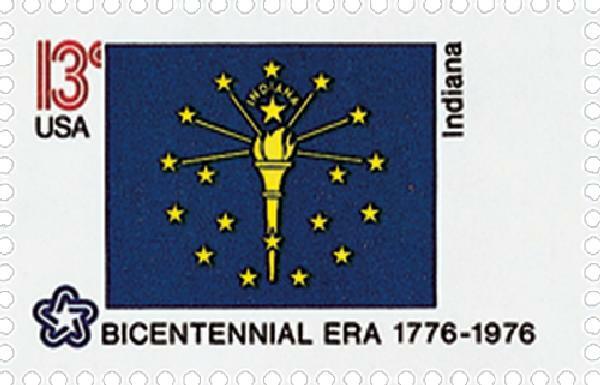 U.S. #1651 – At the center of the Indiana flag is a flaming torch, symbolizing liberty and enlightenment. On December 11, 1816, Indiana was admitted to the Union. In 1679, the French explorer René-Robert Cavelier, the Sieur de La Salle, became the first European to explore Indiana. La Salle came to the area from French colonies in Canada in an effort to find a water route to the Pacific Ocean, traveling down the St. Joseph and Kankakee rivers. He returned in 1680, and explored the northern region of Indiana. U.S. #3504 – Famous for inventing dynamite, Alfred Nobel actually held 355 different patents. 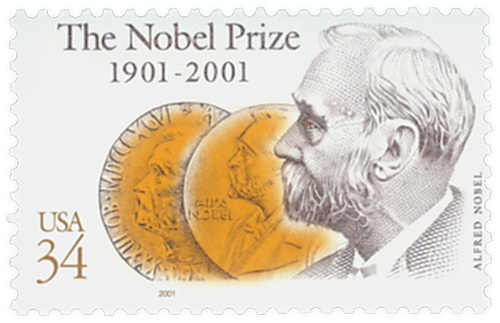 As instructed by their benefactor, the first Nobel Prizes were awarded on December 10, 1901, on the fifth anniversary of Alfred Nobel’s death. Alfred Nobel was a Swedish industrialist whose work stabilizing nitroglycerin led to patents for dynamite, blasting gelatin, and ballistite (a smokeless powder propellant). He earned great wealth through the manufacture of explosives in Europe and the United States. Nobel left the vast majority of his fortune to establish the Nobel Prizes after his death on December 10, 1896. 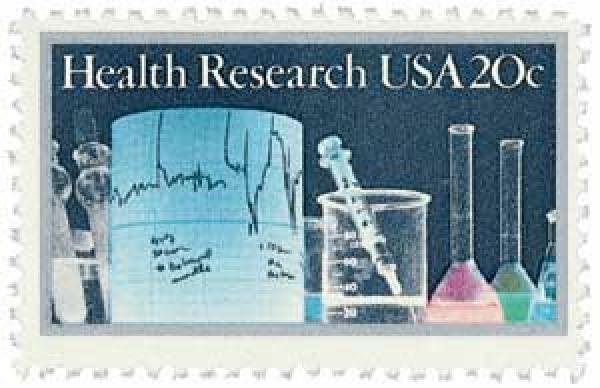 U.S. #2087 – Smallpox claimed an estimated 500-500 million lives in the 20th century alone. On December 9, 1979 the Global Commission for the Certification of Smallpox Eradication completed their task, confirming the disease would no longer be spread naturally. Historians believe smallpox first appeared around 10,000 B.C. For thousands of years it spread around the globe, killing an estimated 20 to 60 percent of those that were infected, and over 80 percent of infected children. Eight years earlier, World War II came to a close with the detonation of two atomic weapons over Hiroshima and Nagasaki, Japan. 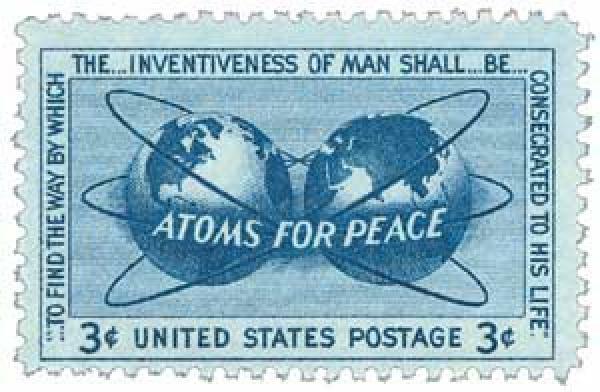 With the war concluded, America’s top scientists and leaders knew that nuclear weapons and energy would have a tremendous impact on the future. Connecticut Senator Brien McMahon (1903-1952) served as chairman of the Joint Committee on Atomic Energy. McMahon also authored the McMahon Act for the control of atomic energy, which resulted in the establishment of the Atomic Energy Commission (AEC) in 1946. The AEC directed the development and use of atomic energy for both military and civilian purposes. U.S. #2559i was based on a U.S. navy photo picturing the West Virginia and the Tennessee. 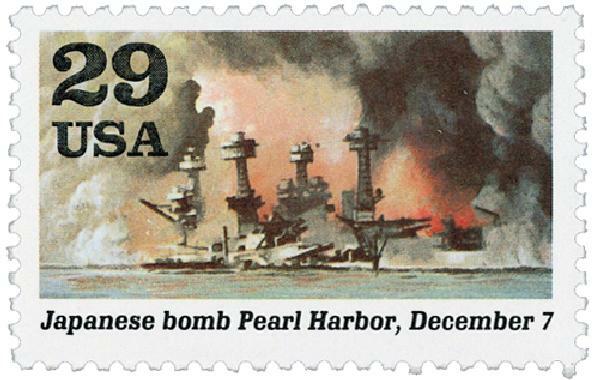 On December 7, 1941, Japanese bombers attacked American troops at Pearl Harbor, catapulting the U.S. into World War II. Imperial Japan had visions of controlling Southeast Asia. They needed the natural resources there to continue their war efforts, but the military presence of the United States prevented them from expanding their territory. And so, they began planning a surprise attack, targeting battleships in an effort to eliminate America’s influence in the region. U.S. #902 – The 13th Amendment declared, “neither slavery nor involuntary servitude” would be allowed in the U.S. 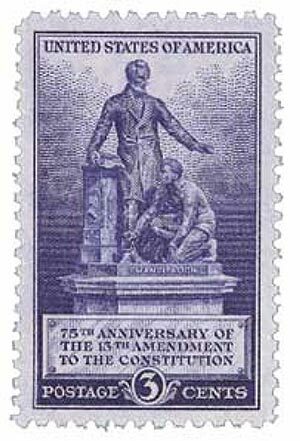 Almost two years after Lincoln’s Emancipation Proclamation, the 13th Amendment was passed, freeing all slaves in America. When the Civil War began in 1861, it was more an issue of state’s rights than slavery. Lincoln didn’t enter office planning to outlaw slavery, even though he personally opposed it. But as the war passed into its second year and the fighting grew more violent, Lincoln realized that he would need to put an end to slavery. In September 1862, he warned the South of his Emancipation Proclamation, declaring all slaves in the Confederacy to be free on January 1, 1863. However, the Confederacy didn’t recognize the proclamation – as they considered themselves their own nation – and it went largely ignored in the South.